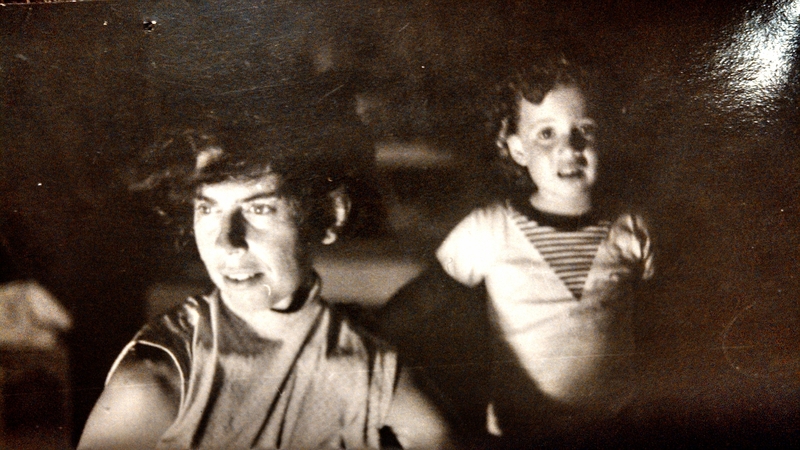 A little over nine months before I entered the world, my father returned to Israel from the States, where he had been looking for work, and immediately flew into a rage about something related to my mother’s friendship with another man. My mother was a social woman and had many male friends, as well as female friends. In Israel that was normal. Despite my mother’s reassurances, my father was beside himself. He threw a fit, and then stayed locked in their bedroom for several days, not interacting with the rest of the family, not even coming out to eat (my mother brought him his meals). She was pregnant with me all through that hot summer, working in the stationary store that she had inherited from her parents, the reason why she and my father had moved to Israel in the first place. My father was traveling back and forth to the States that summer trying to find a job because the store wasn’t bringing in enough income. So, my mother was often alone while working pregnant in stifling, non-air conditioned heat, dealing with notoriously rude and demanding Israeli shoppers, and then coming home to deal with my siblings, who turned 10 and 6 that summer. In September, my father came home. A few weeks later, my mother went into the hospital on the advice of her doctors. My father told me she was in the hospital when her water broke and the contractions started. That’s when her best friend Talma, who was a nurse in the same hospital, called my father at the store. He finished the work day, and then went to the hospital, arriving after my actual birth. Like with my older sister and brother, my mother had given birth without my father present. But that’s how he saw it… just another work day, that happened to end with a new baby. Things were different back then, I guess. The first thing he did was check on my mother, who was resting but still awake. There had been no complications. Once he confirmed that she was fine, he went to see me, and my mother’s friend Talma went with him. The maternity ward nurses brought me to the looking glass, all swaddled up like newborns are. Talma congratulated him on having another daughter. They had decided to call me Niva, which my mother told me means “a beautiful expression” in Hebrew. If I had been a boy, they would have called me Niv (now my nickname). As the story goes, a day or two later, when my father came back to the maternity ward to pick up and take me home, this time with my brother and sister in tow, the nurses once again met him at the window with a swaddled baby girl. My father peered down and shook his head, “That’s the wrong baby.” At first the nurses protested, but my father insisted. After a few minutes, the nurses conferred amongst themselves. Then they put that baby girl back, lifted up another baby, and brought me to the window. My father nodded. My siblings watched this exchange with wonder. From then on, they loved to tease me about possibly being the wrong baby and actually belonging to another family (clearly not the case, as I look exactly like them, but you know how siblings can be). Later in life, I would delight in asking my mother what kind of baby I was. “You were an easy baby, always smiling. You only cried when you needed something, and as soon as you got it, you would stop. You were always happy.” My brother and sister, who helped take care of me, confirmed this. I also asked my mother what it was like to give birth, something I always found it impossible to imagine her doing. By the time I was a child, she was already frail. Some of my earliest memories are of her in a hospital. As my siblings and I grew up, we seemed to tower over her. How could we possibly have come out of this woman? How could she have carried all three of us and gone through childbirth three times? She shrugged. There was nothing to it, she said. I always found that hard to believe, but maybe she was one of those lucky women who have easy births. She did have wide hips… hips of life one might even say. Categories: Family, Memoir, Mothers, Writing | Tags: birth story, family memories, family stories | Permalink. Always like reading stories like this. Thanks for sharing! Lovely. Nice read Niva. Thank you.